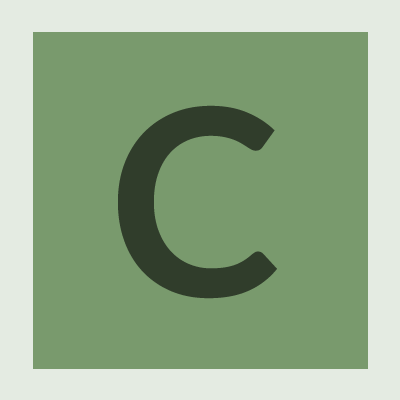 clivejo added a comment to T7767: lightrss. @deussomniat Do you IRC ? Hi @deussomniat, are you a Solus user? clivejo requested review of D5946: Update cryfs to 0.10.1.
clivejo abandoned D5534: Update digikam to 6.0.0.
clivejo added a comment to D5534: Update digikam to 6.0.0. Why are we no longer building the plugins? Were they removed entirely? Is there another blocker for enabling them? If they were deprecated entirely, you haven't sent a PR to getsolus/solus-sc to update the repo_data for the obsoleting. clivejo requested review of D5604: Update gcompris to 0.96.
clivejo updated the diff for D5534: Update digikam to 6.0.0.
clivejo requested review of D5534: Update digikam to 6.0.0.
clivejo reopened T5874: JOSM as "Open". clivejo requested review of D5293: Initial packaging for JOSM 1.5.svn14620. clivejo added a comment to T83: Brother Drivers. Installed the second one you posted, and it is working after adding my user to the lpadmin group. Could you package the driver for the Brother MFC-440CN please? clivejo requested review of D5198: Update KMyMoney to 5.0.3.
clivejo awarded D5173: Update latte-dock to 0.8.5 a Like token. clivejo added a comment to T7537: klipper popups can't be disabled. Can you try it under a brand new user? clivejo requested review of D5077: Update kaffeine to 2.0.16.
clivejo added a comment to T7484: Spectacle is shooting previous screenshots or in the dark. Well there is a delay setting, which could result in what you are describing? I can't reproduce this, what settings are you using in spektakle ? clivejo retitled D5007: Patch python-fasteners to package python3 files from Package python3 files to Patch python-fasteners to package python3 files. clivejo requested review of D5007: Patch python-fasteners to package python3 files. clivejo updated the diff for D4895: Initial packaging for cryfs. Removed setup as apparently it doesn't need this to build now! clivejo requested review of D4898: Initial packaging for plasma-vault. clivejo requested review of D4895: Initial packaging for cryfs. clivejo added a revision to T5214: Package Request: cryfs: D4895: Initial packaging for cryfs. clivejo reopened T5214: Package Request: cryfs as "Open". Can this be reconsidered for plasma-vault? clivejo added a task to D4804: Inital pkg for android-tools: T7381: Package Request: android-tools. clivejo added a revision to T7381: Package Request: android-tools: D4804: Inital pkg for android-tools. clivejo added a comment to T7381: Package Request: android-tools. clivejo renamed T7381: Package Request: android-tools from android-tools to Package Request: android-tools. clivejo created T7381: Package Request: android-tools. clivejo requested review of D4795: Update tellico to 3.1.5.
clivejo requested review of D4793: Update GCompris to 0.95.
clivejo awarded R3756:75f1b599a367: Enable plasma dialog in firefox by default a Dat Boi token. clivejo added a parent revision for D4679: Update kdev-php to 5.3.1: D4678: Update kdevelop to 5.3.1.
clivejo added a child revision for D4678: Update kdevelop to 5.3.1: D4679: Update kdev-php to 5.3.1.
clivejo added a parent revision for D4680: Update kdev-python to 5.3.1: D4678: Update kdevelop to 5.3.1.
clivejo added a child revision for D4678: Update kdevelop to 5.3.1: D4680: Update kdev-python to 5.3.1.
clivejo retitled D4680: Update kdev-python to 5.3.1 from Update kdev-python to 5.3.1 to Update kdev-python to 5.3.1, depends on D4678. clivejo requested review of D4680: Update kdev-python to 5.3.1.
clivejo requested review of D4679: Update kdev-php to 5.3.1.
clivejo requested review of D4678: Update kdevelop to 5.3.1.
clivejo updated the diff for D4656: Update krita to 4.1.7.
clivejo requested review of D4656: Update krita to 4.1.7.
clivejo added a task to D4452: Update latte-dock to 0.8.3: T7241: Update latte-dock to 0.8.3.
clivejo added a revision to T7241: Update latte-dock to 0.8.3: D4452: Update latte-dock to 0.8.3.
clivejo requested review of D4452: Update latte-dock to 0.8.3.
clivejo updated the task description for T7241: Update latte-dock to 0.8.3.
clivejo created T7241: Update latte-dock to 0.8.3.
clivejo renamed T7232: Update Gramps to 5.0.0 from Gramps Update to 5.0.0 to Update Gramps to 5.0.0.
clivejo added a comment to T2519: Calligra Words. clivejo added a comment to T7135: Update kdevelop to 5.3.0.
clivejo added a comment to T7167: [RFC] Solus KDE Splash Screen. @kyrios123 I usually set my own install to none as I dislike the new plasma logo, but would use the Solus one as personal preference. @DataDrake what licence is the Solus logo released under? nice, if the core team have okayed the use of the logo, you should upload it to https://store.kde.org Whether or not it is included on the iso there are user that would like it. clivejo added a comment to T7165: [Digikam] Map openstreetmap not showing. clivejo added a comment to T7154: KDE - Twitter integration doesn't work. Herald added a project to T7135: Update kdevelop to 5.3.0: Software. clivejo requested review of D4218: Update gcompris to 0.91.
clivejo added a comment to T7118: Fresh Plasma install is missing program icons. That's odd, something in your user config must be changing it. Could you try adding a new user and see what the default theme is for that user? The default theme should be breeze, are any of the following packages installed? clivejo updated subscribers of T7103: System Settings crashes when applying Adapta GTK3 Theme. Might be something that needs added to the ISO image then, maybe @sunnyflunk can shed some more light on the issue. clivejo added a comment to T7103: System Settings crashes when applying Adapta GTK3 Theme. How did you install plasma? clivejo added a comment to T7095: Double Commander Qt5-based. clivejo updated the diff for D4121: Inclusion of kompare. clivejo updated the test plan for D4128: Update kvantum to 0.10.8.
clivejo updated the summary of D4128: Update kvantum to 0.10.8.
clivejo requested review of D4128: Update kvantum to 0.10.8.
clivejo added a comment to T7088: Kvantum doesn't work anymore. I suspect that it needs a no change rebuild. clivejo requested review of D4123: Inclusion of kcolorchooser. clivejo requested review of D4121: Inclusion of kompare. clivejo added a revision to T7081: Kompare: D4121: Inclusion of kompare. clivejo requested review of D4108: Update kio-gdrive to 1.2.5.
clivejo added a comment to T6962: Falkon crash under Wayland..
clivejo added a comment to T5866: vvave. clivejo updated the diff for D3759: Inclusion of mycroft-core version 18.2.9 (T4276). clivejo awarded D3901: Update Synergy to 1.10.1 a Love token. clivejo added a comment to T6921: Opinions on changing the default in Plasma to double-click?. Girtablulu awarded T6921: Opinions on changing the default in Plasma to double-click? a Like token. clivejo created T6921: Opinions on changing the default in Plasma to double-click?. clivejo abandoned D3853: Update latte-dock to 0.8.1, fixes T6914. clivejo requested review of D3853: Update latte-dock to 0.8.1, fixes T6914. Herald added a project to T6914: Update Latte-Dock to 0.8.1: Software. clivejo added a comment to T6897: flameshot 0.6 needs new dependencies. clivejo requested review of D3759: Inclusion of mycroft-core version 18.2.9 (T4276). clivejo added a parent revision for D3717: Inclusion of google-api-python-client, needed for mycroft-core (T4276): D3716: Inclusion of python-uritemplate, needed for mycroft-core (T4276). clivejo added a child revision for D3716: Inclusion of python-uritemplate, needed for mycroft-core (T4276): D3717: Inclusion of google-api-python-client, needed for mycroft-core (T4276). clivejo removed a child revision for D3717: Inclusion of google-api-python-client, needed for mycroft-core (T4276): D3716: Inclusion of python-uritemplate, needed for mycroft-core (T4276). clivejo removed a parent revision for D3716: Inclusion of python-uritemplate, needed for mycroft-core (T4276): D3717: Inclusion of google-api-python-client, needed for mycroft-core (T4276). clivejo added a child revision for D3717: Inclusion of google-api-python-client, needed for mycroft-core (T4276): D3716: Inclusion of python-uritemplate, needed for mycroft-core (T4276). clivejo added a parent revision for D3716: Inclusion of python-uritemplate, needed for mycroft-core (T4276): D3717: Inclusion of google-api-python-client, needed for mycroft-core (T4276). clivejo requested review of D3717: Inclusion of google-api-python-client, needed for mycroft-core (T4276). clivejo requested review of D3716: Inclusion of python-uritemplate, needed for mycroft-core (T4276).